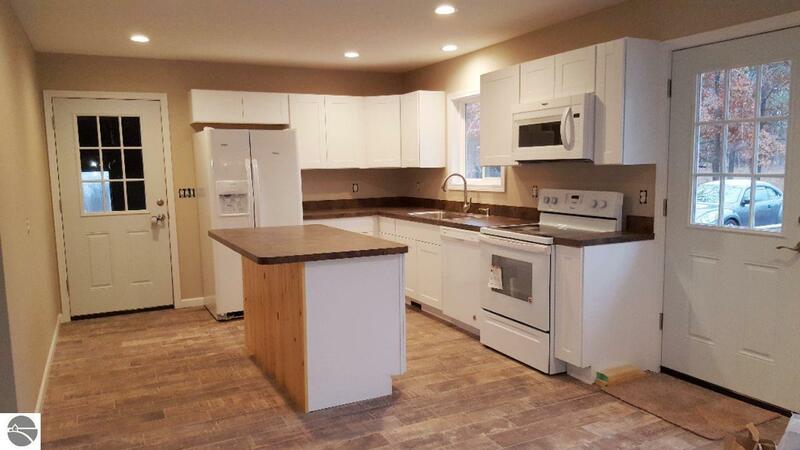 This 3 Br, 1 Ba, completely remodeled home is just like new, with new appliances, well, furnace, electrical. Less than 5 minutes to Torch Lake. This would make a perfect year round home or "Up North" vacation getaway. There is a 1 car attached garage & a front deck to enjoy sitting outdoors. Large back yard for the kids. Would also make a great starter or retiree home! This one wont last long! Bedroom 1 Size: 13'3" x 10'3"
Br2 Size: 10'3" x 9'7"
Br3 Size: 10'11 x 7' 7"
Din Rm Size: 13' 6" x 12' 7"
Kit Size: 11' 11 x 12' 0"
Liv Rm Size: 12' 7" x 15' 8"